We are delighted to have achieved a £200,000 Welsh Government grant , £3,000 from Cardiff YMCA (1910) Trust, £5,000 from National Lottery Community Fund and £10,000 from the Waterloo Foundation to help provide a 50+ community activity centre and heritage room in the heart of Llandaff village. 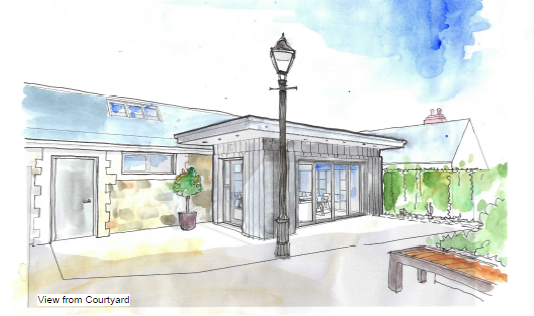 It will be a space to accommodate small-scale activities for older people, to alleviate loneliness and isolation, and promote wellbeing and community cohesion. Llandaff has the second highest proportion of older people in Cardiff, but no designated centre for socialising, sharing information and making new friends. The Pound Centre will be run by volunteers on a self-sustaining basis and funded by users attending weekly activities such as: IT learning and support – already successfully piloted in the Tesco Community space; health – wii fit and weekly walks make exercise fun; wellbeing – crafting, cake clubs and music groups encourage socialising; and gardening in the Bishop’s Castle grounds to improve the local environment. At weekends, the Centre would host carers’ groups and be a dementia-friendly hub providing respite and companionship. 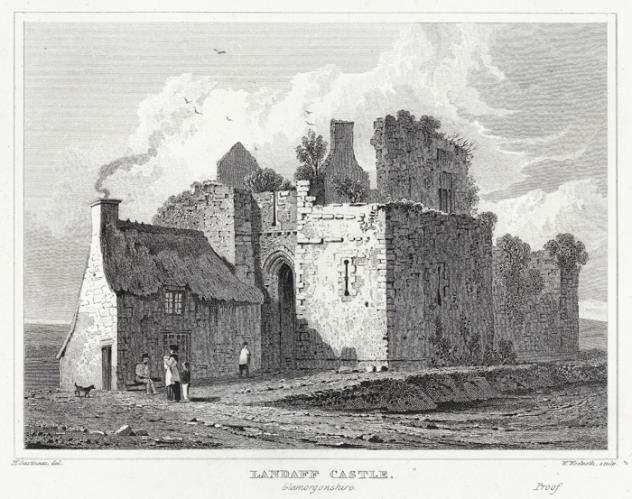 The Pound is located next to the 13th Century Bishop’s Castle at the top of the High Street. It was built in 1924 at the same time as Sir William Goscombe John’s War Memorial on The Green. There would also be the chance to re-open a public convenience, needed by both visitors and locals. 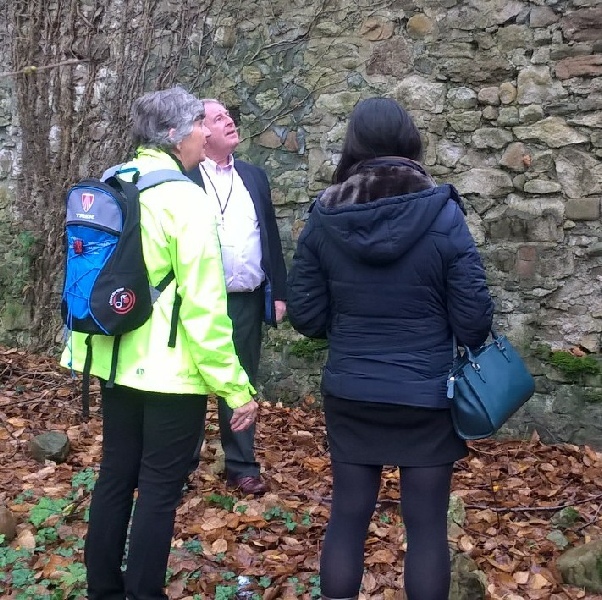 Further grant funding is being sought for the additional work and re-interpreting of this local asset. Age Connects will assist accessing funding for older people and we will work with the Local Traders sub-committee of the Llandaff Society. Seasonal events, in the Centre and Bishop’s Castle, will provide additional income. 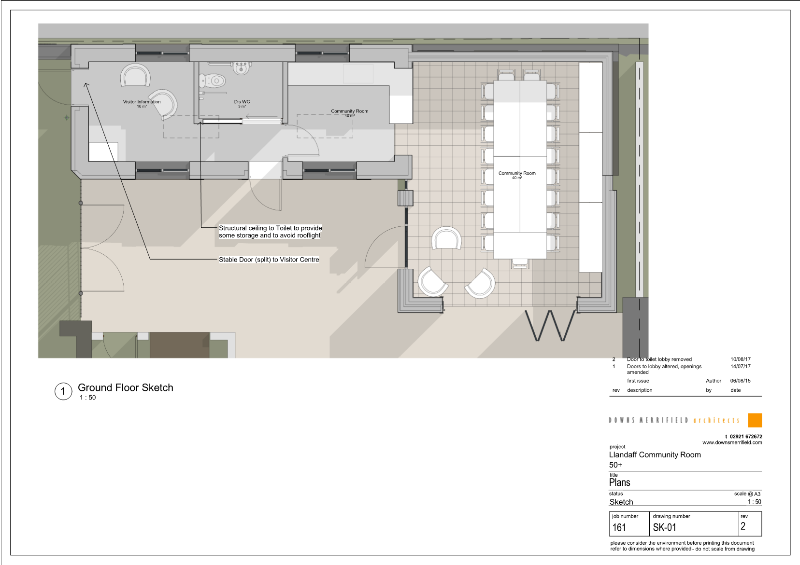 We are working with Downs Merrifield Architects on our plans and in January, celebrated receiving charity status. We are now applying for funding and will be submitting our plans to the Planning Dept shortly. Please contact us on thepound@llandaff50plus.com if you would like to help, donate or just ask a question. 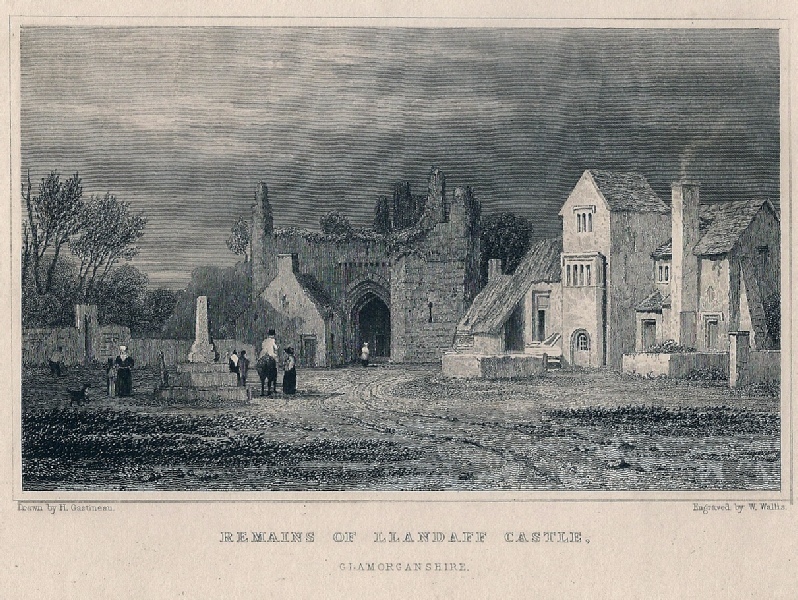 The Centre will also give our volunteers, in association with the Llandaff Society, the opportunity to share the history of Llandaff in a small heritage room, and also run guided tours of the Castle. 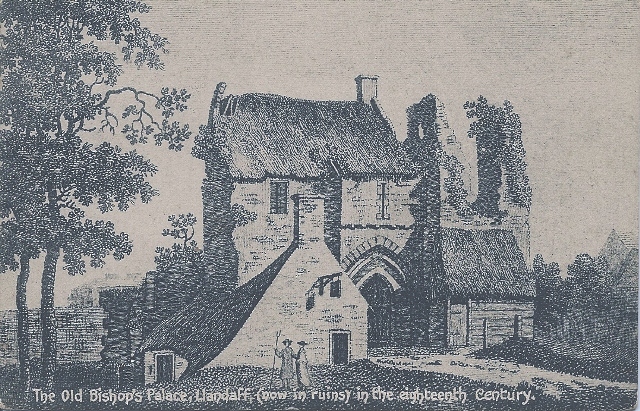 Left: Artists’ impression of the Courtyard.